Elegant Tern in flight. 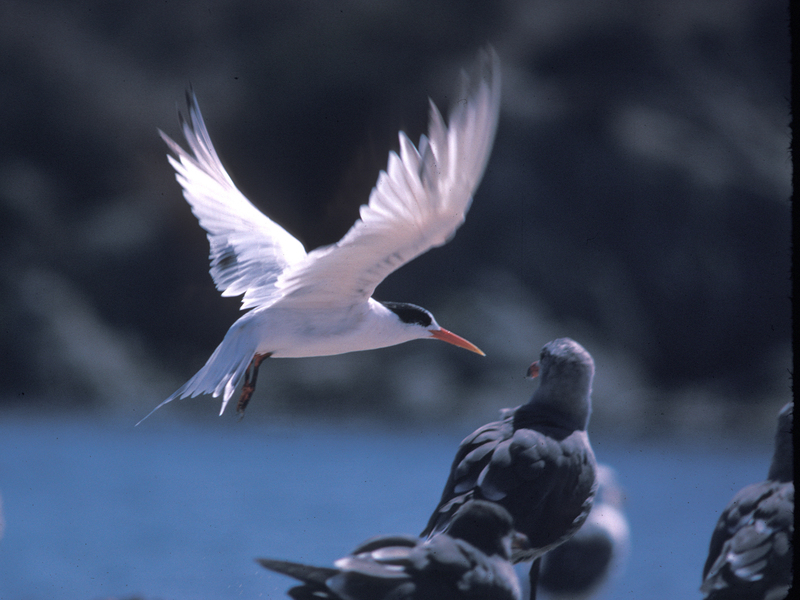 Note the forked tail, a common feature of terns. The other birds may be Heermann's Gulls.